in the south. 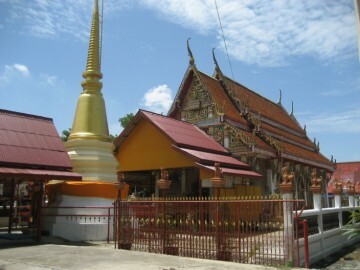 Wat Bailo and Wat Klang lie on the opposite side of the Sra Bua canal. 1749. 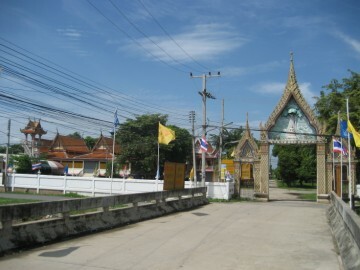 The temple received officially its bai sema or boundary stones in the year 1757.
left void of Buddhist clergy after the war. 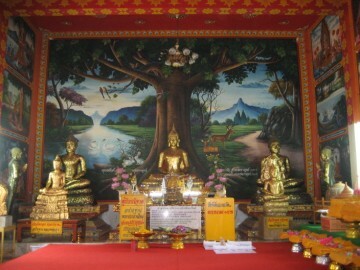 complex received the name Wat Mai Sri Pho (The word 'Mai' meaning 'new'). 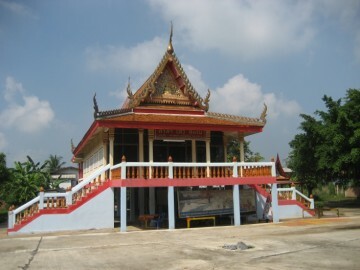 The ubosot or ordination hall is built in a mixed Late Ayutthaya and Ratanakosin style. The roof is three-tiered while the extended roof over the elevated porches is two tiered. Phrom Kalayaram; the original probably vanished in time. 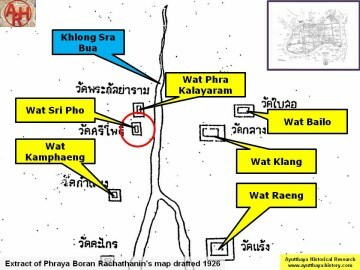 of Wat Sri Pho and Wat Phrom Kalayaram. 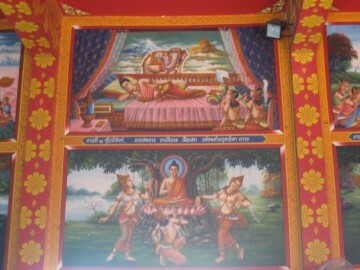 geographical coordinates: 14° 22' 12.31" N, 100° 33' 27.65" E.
at Sarnath a short distance from this city.